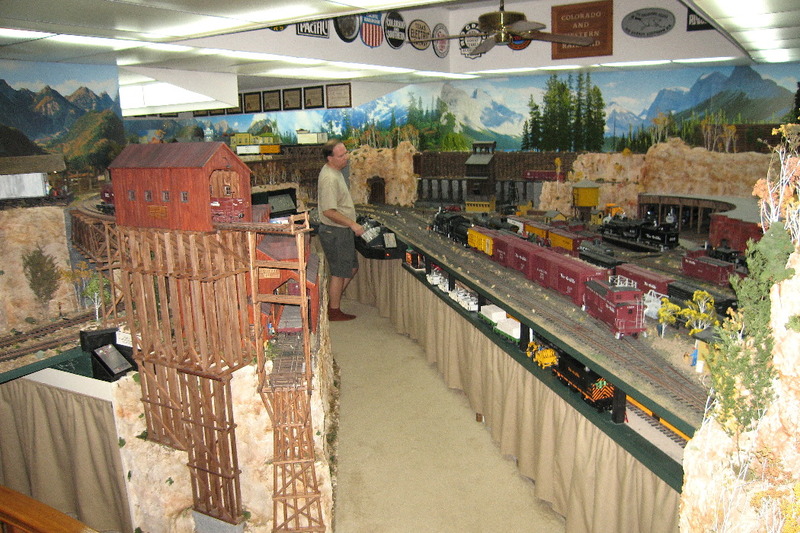 using Gauge 1 and 3 hand-laid track, running mostly scratch built locomotives and rolling stock, in a 1000sq ft train room. 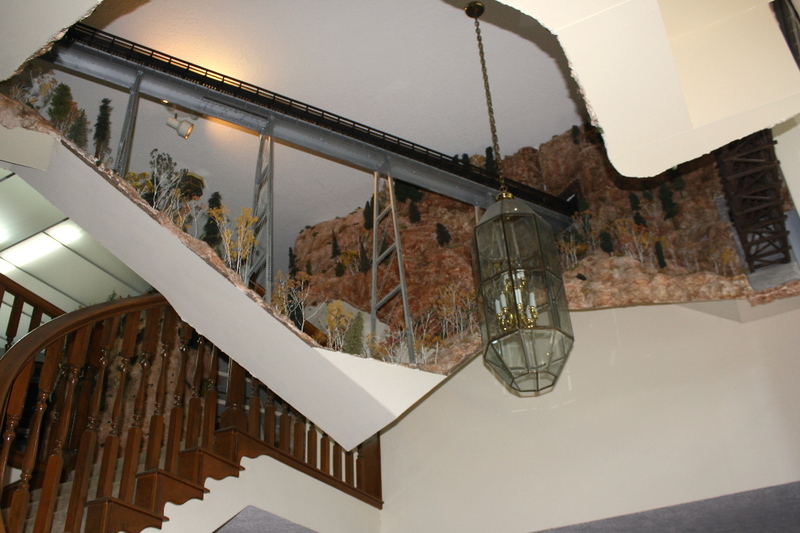 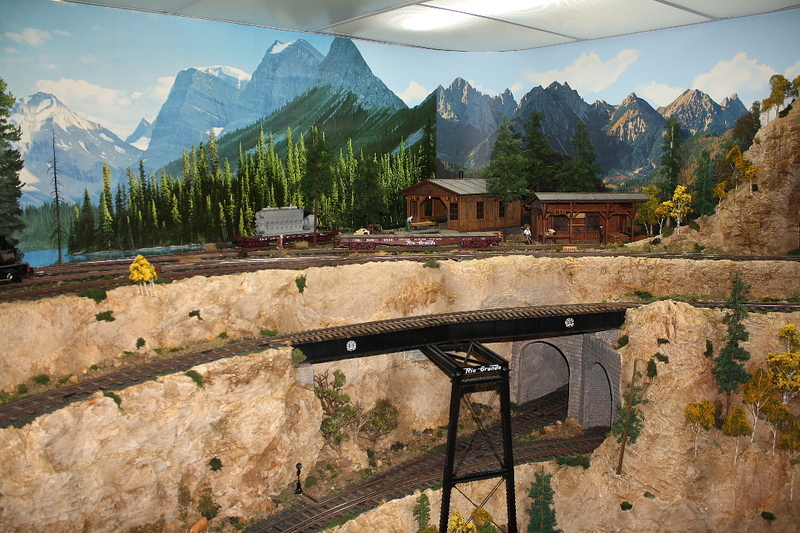 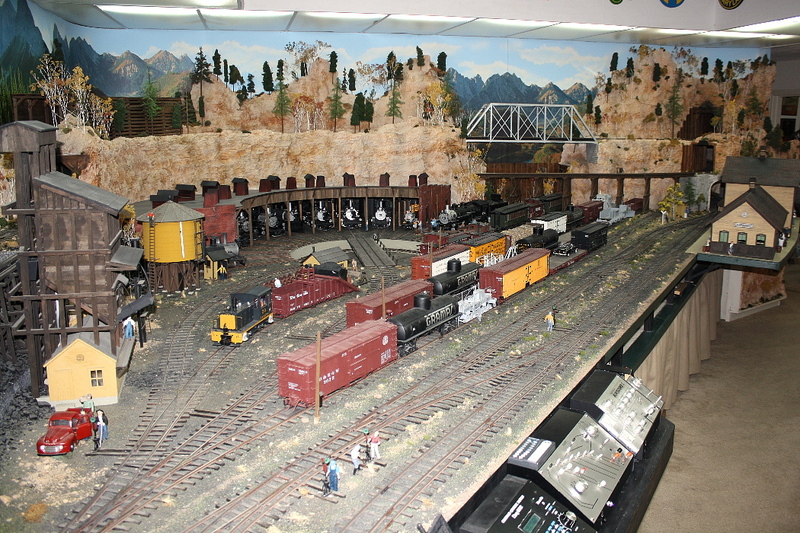 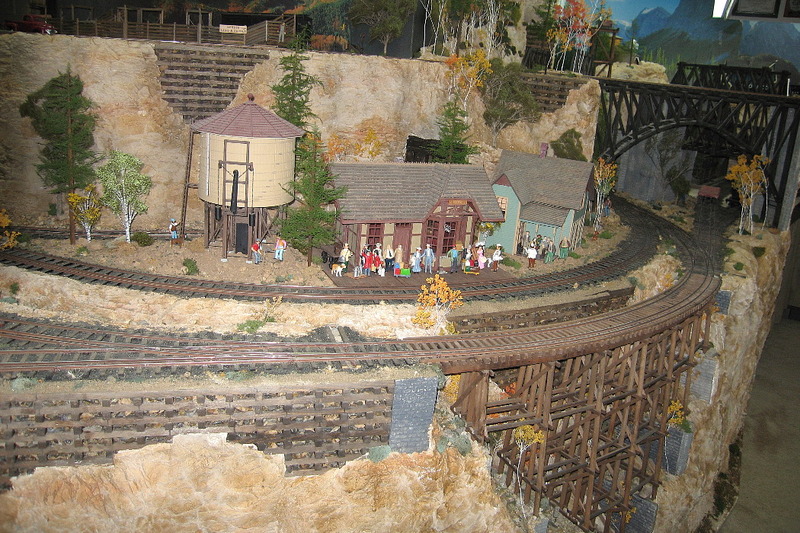 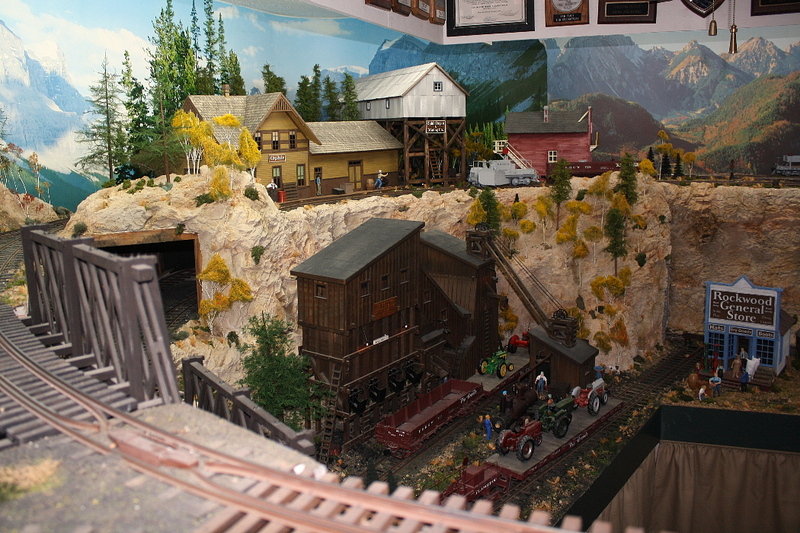 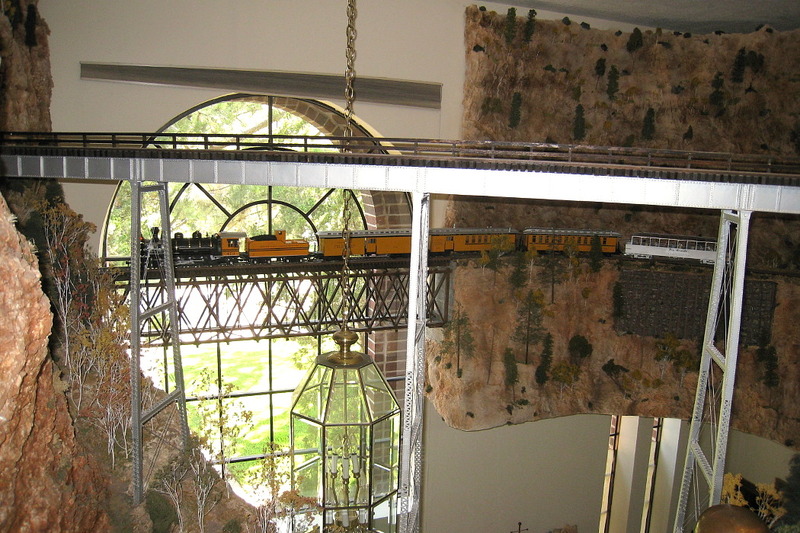 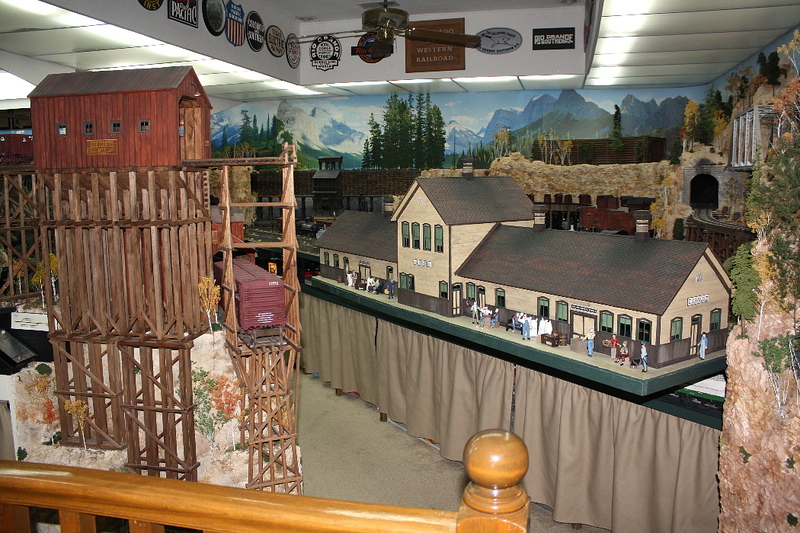 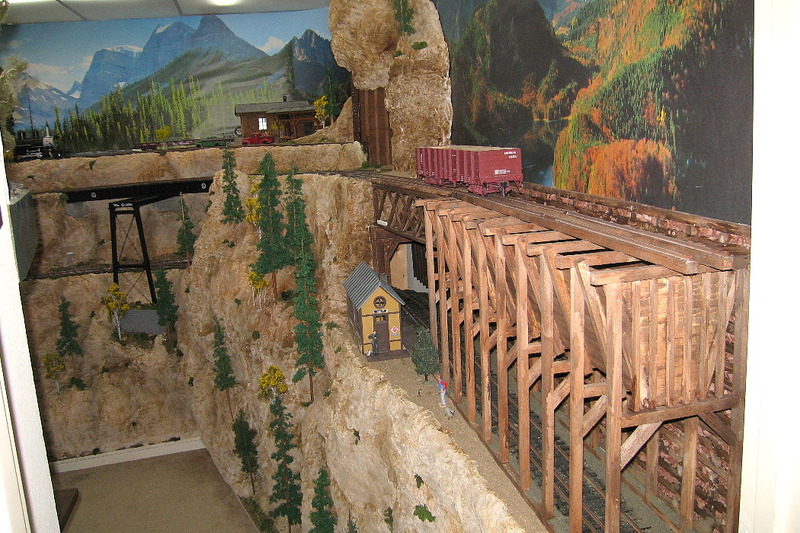 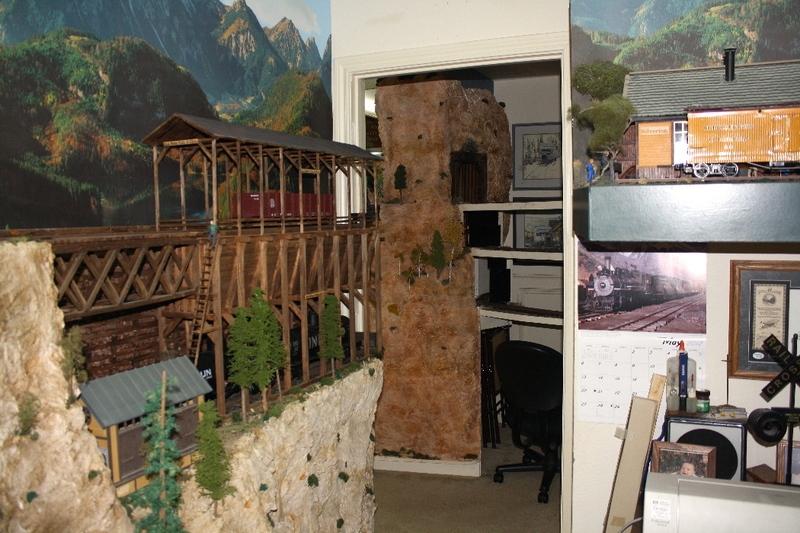 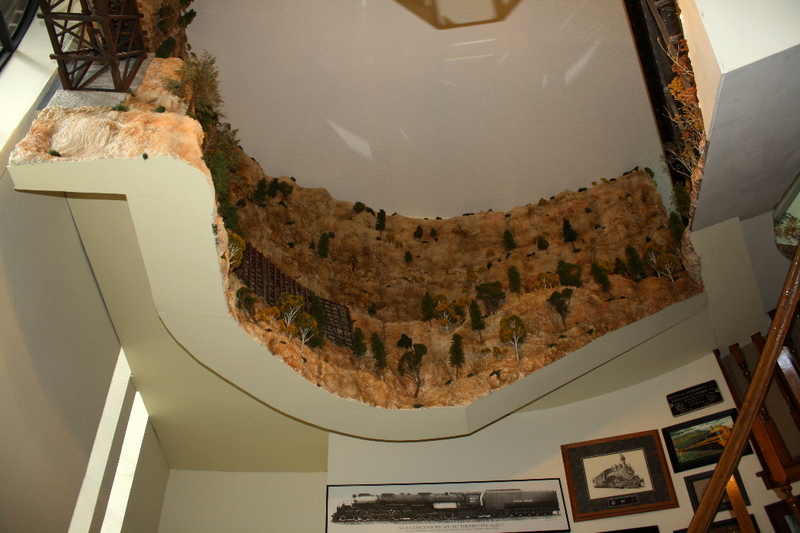 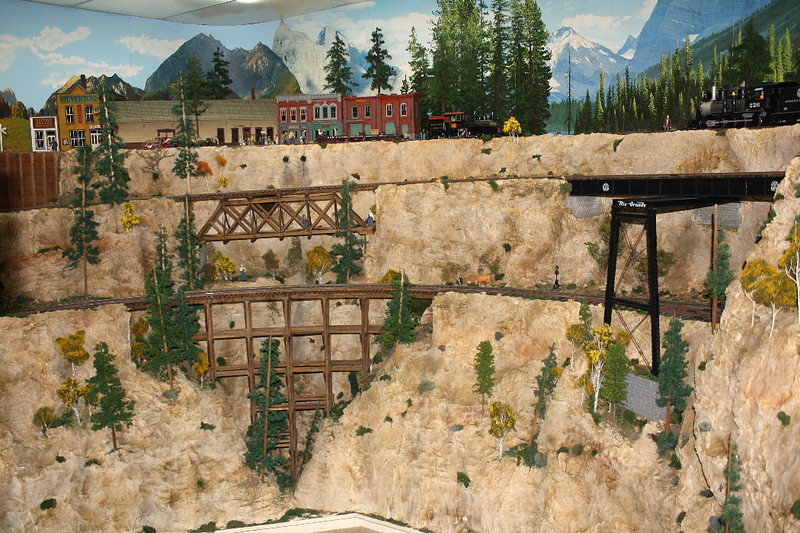 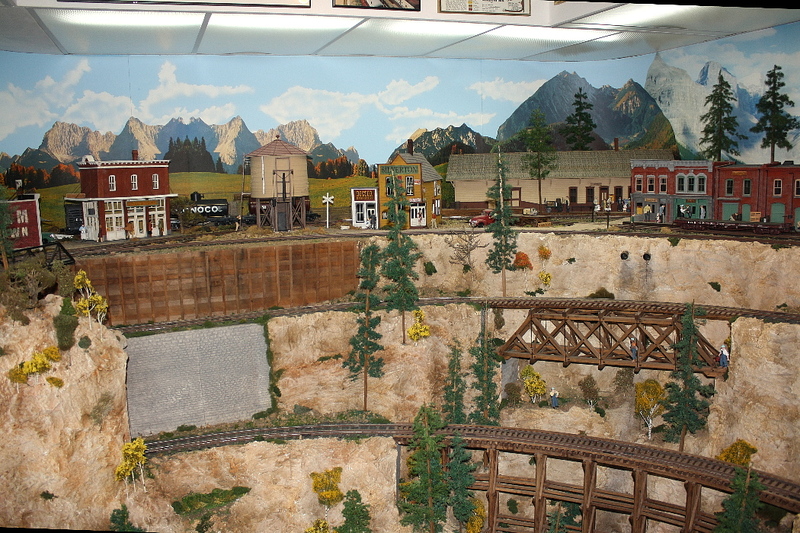 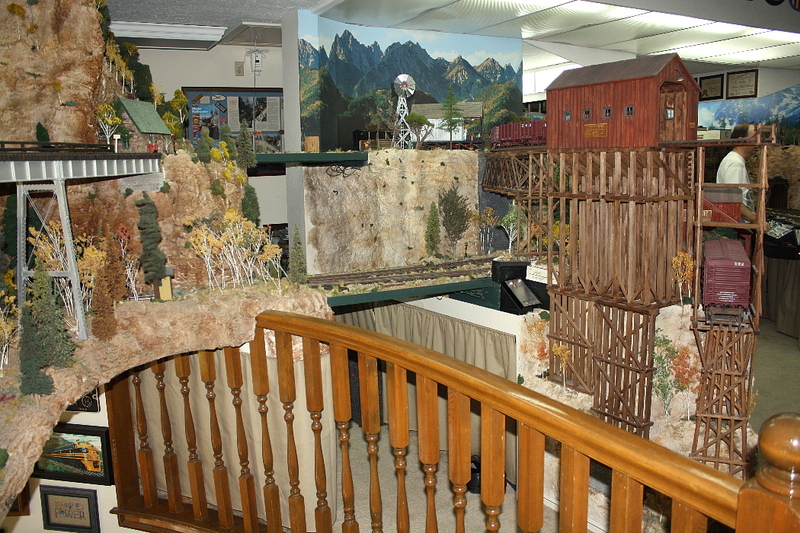 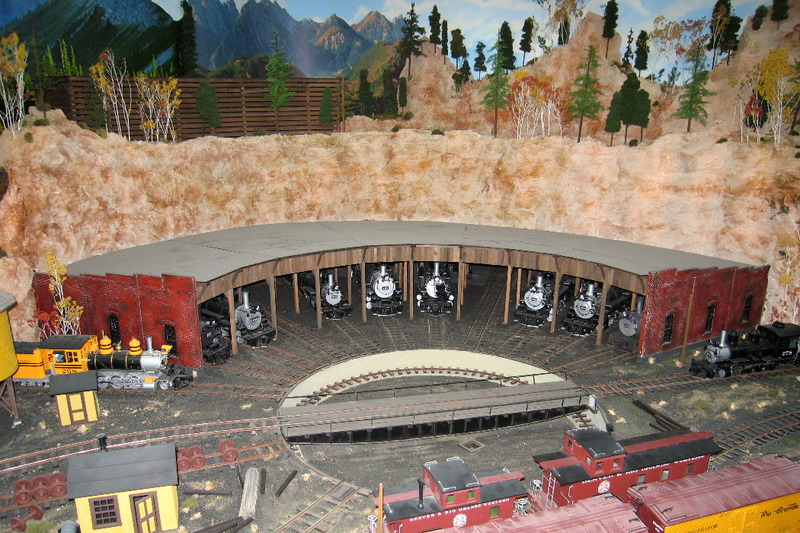 These pictures were selected to give an overview of the railroad, arranged in the order as you may walk down the aisles. 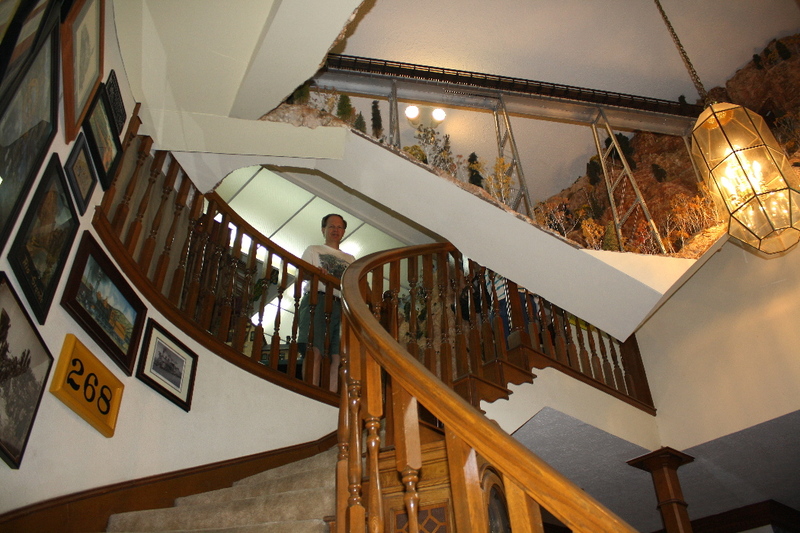 Pictures are worth a thousand words, but nothing replaces being there. 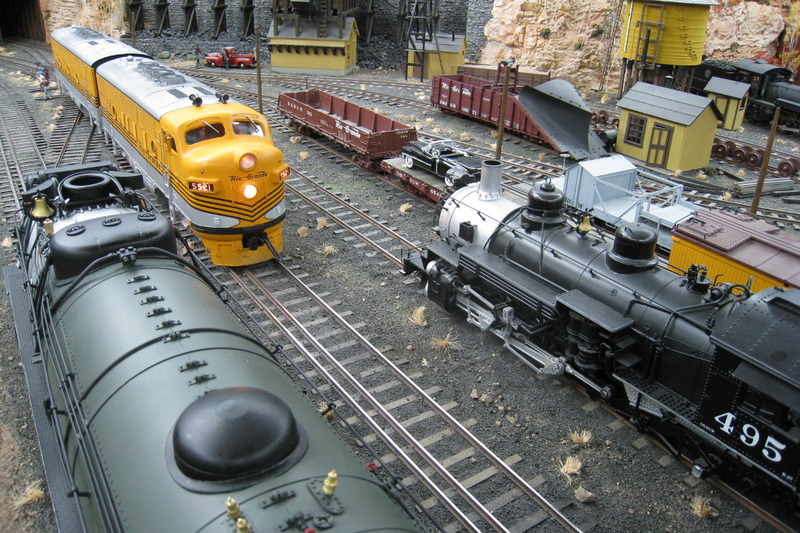 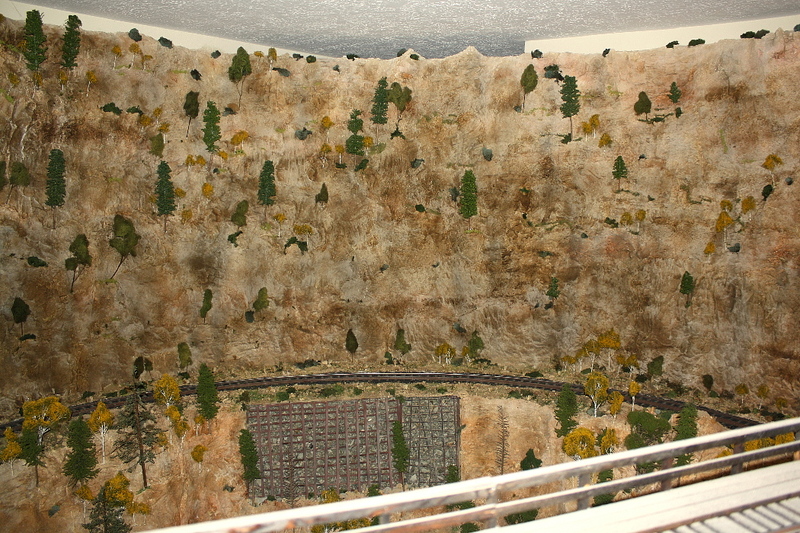 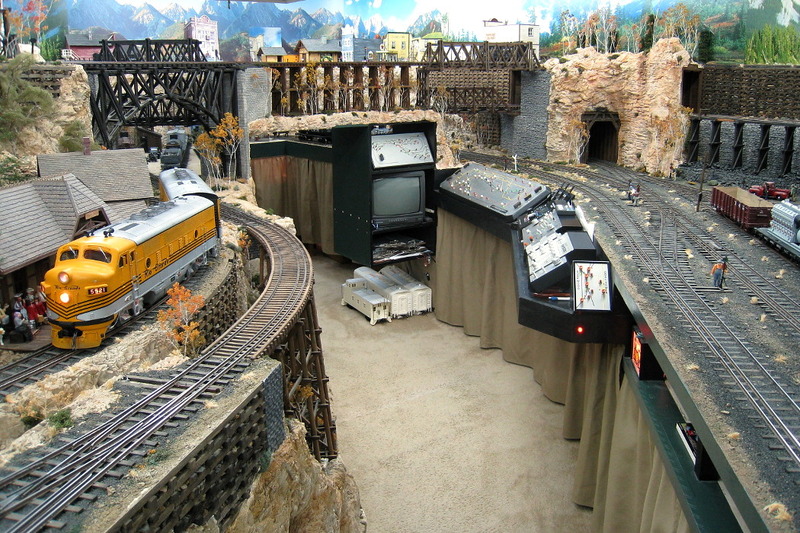 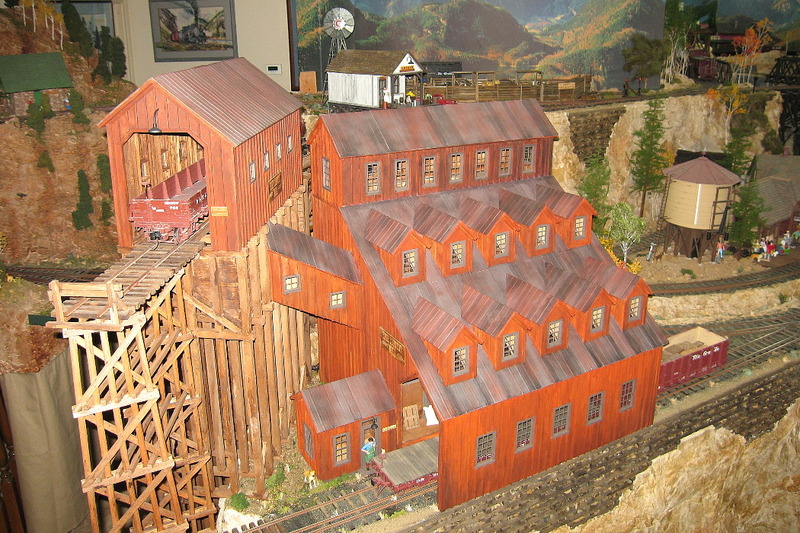 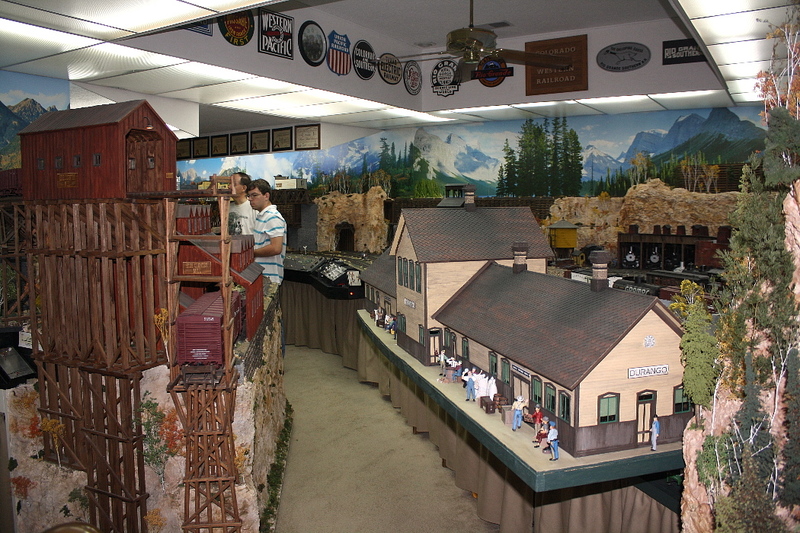 Few model railroads are in this larger of scale. 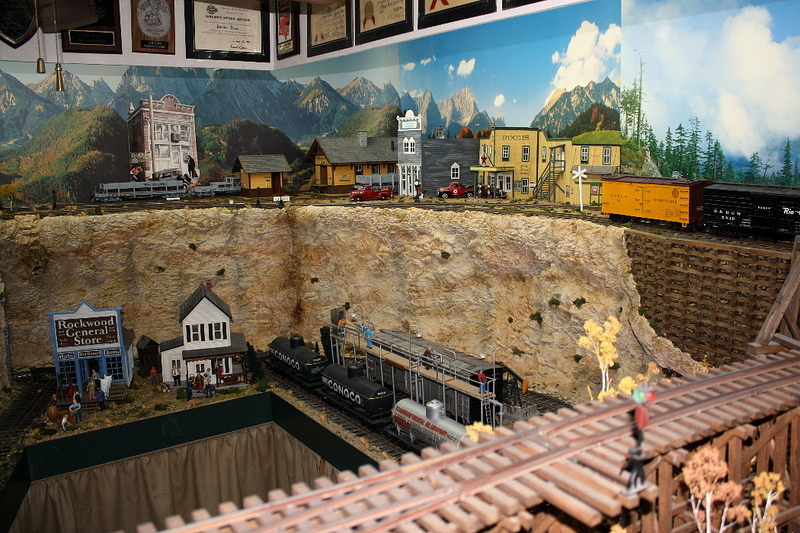 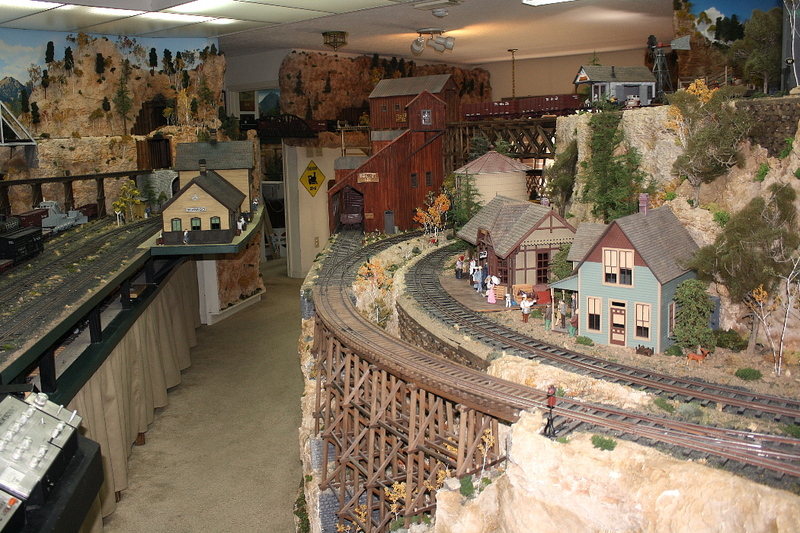 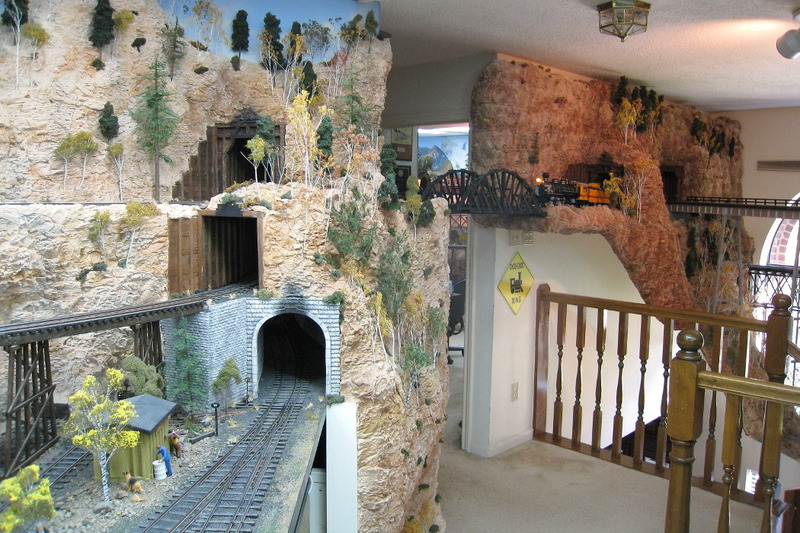 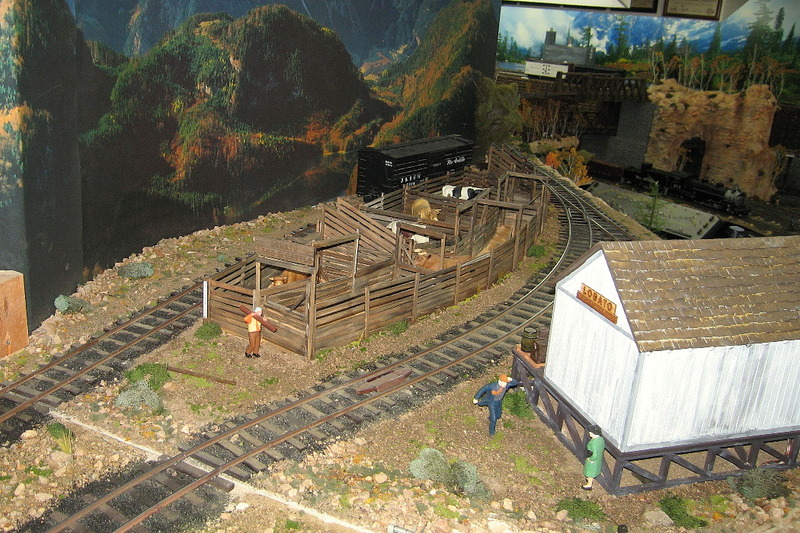 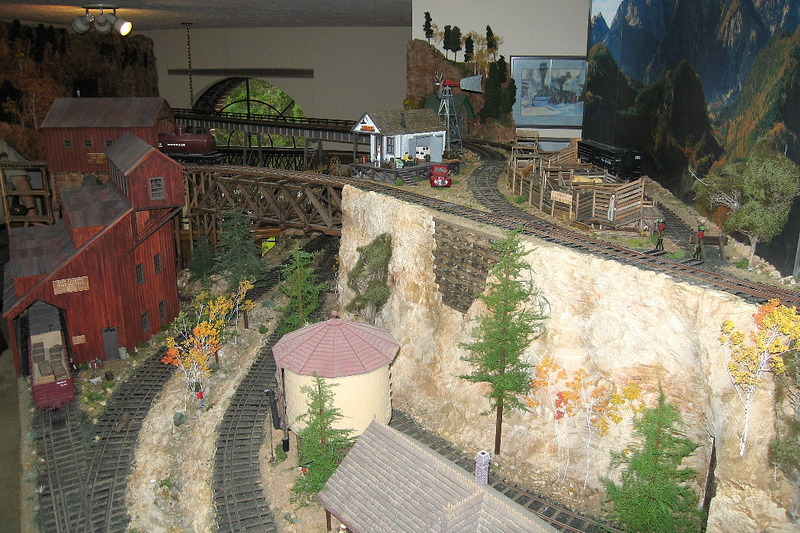 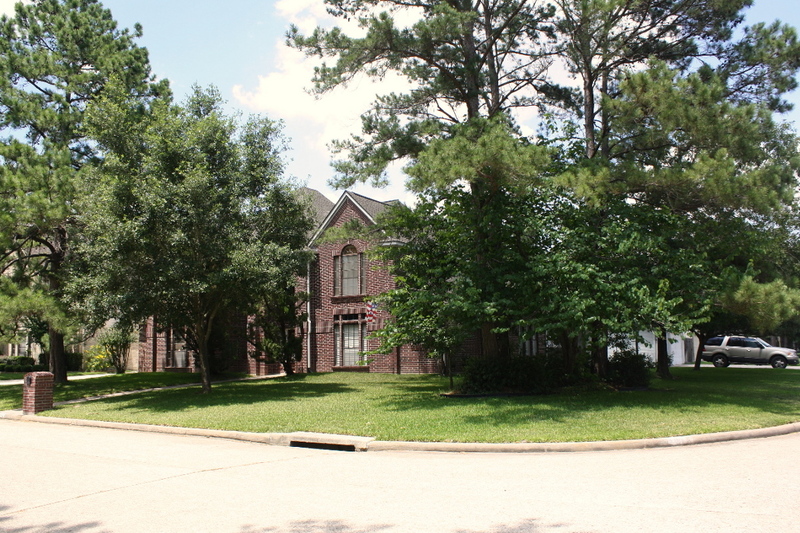 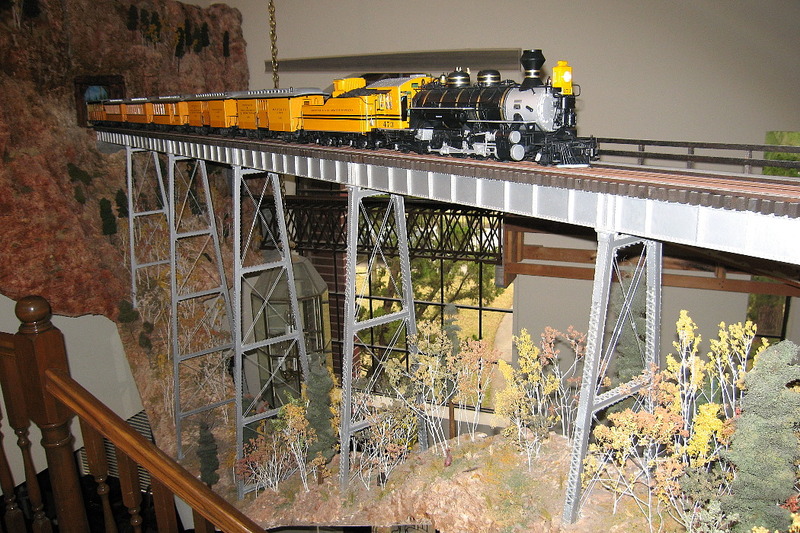 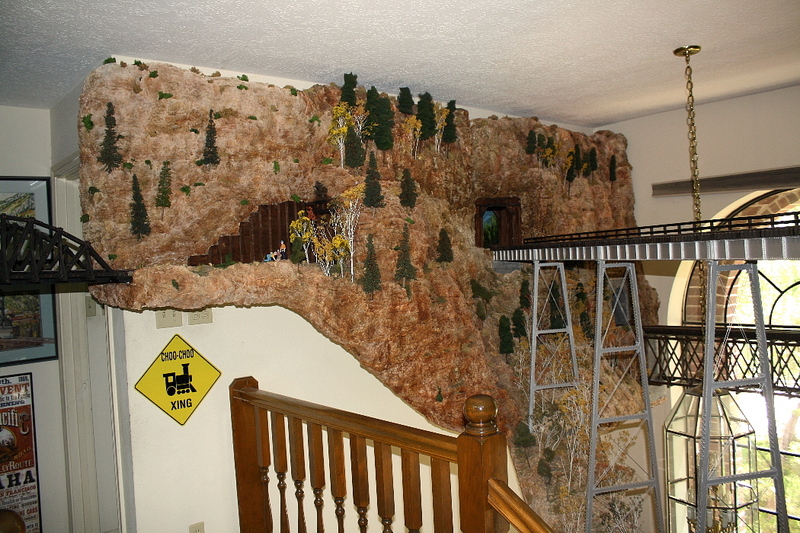 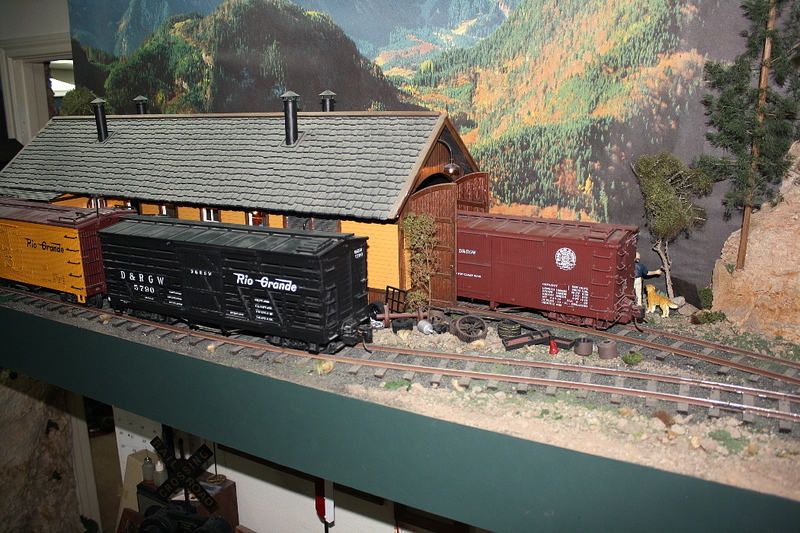 If you would like to see some video clips of this railroad, go to the Video’s page off the home site.